This part of London is filled with place names that begin with ‘Upper’ or end with ‘Hill’, but Sydenham Hill rises higher than most, topping 350 feet at the southern end of the road that shares its name. 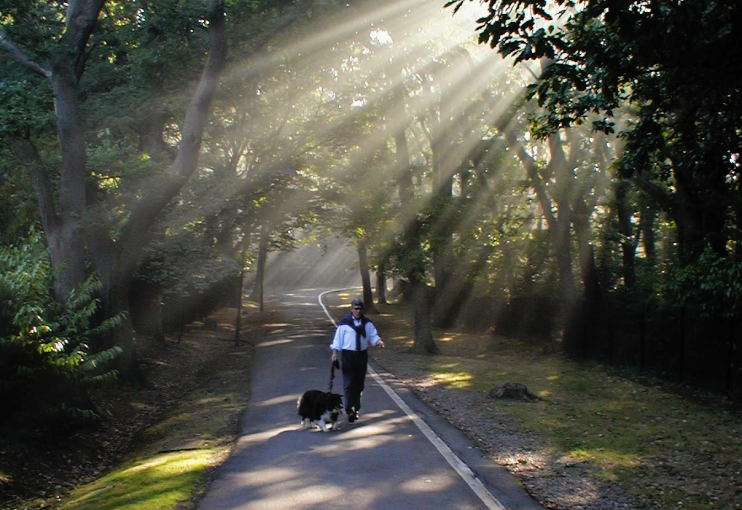 For this reason, it was chosen as the site for the Crystal Palace, which was rebuilt here in 1854. The northern end of the locality is as much a part of Dulwich as of Upper Sydenham, and if Sydenham had not had a strong reputation of its own the station would probably have been called South Dulwich when it opened in 1863. With the attraction of the palace and the benefit of the railway, numerous villas were built on the hill, especially in the third quarter of the 19th century, some of which were themselves preten­tiously palatial. South of the station, Kingswood House was remod­elled in the 1890s as a stone-faced baronial castle for the founder of the Bovril company. The grounds were sold for devel­opment after the Second World War and the house is now a community centre and events venue. Most of the other large properties in the Sydenham Hill locality were demol­ished over the course of the 20th century and replaced by housing that varies greatly in grandeur and aesthetic quality. 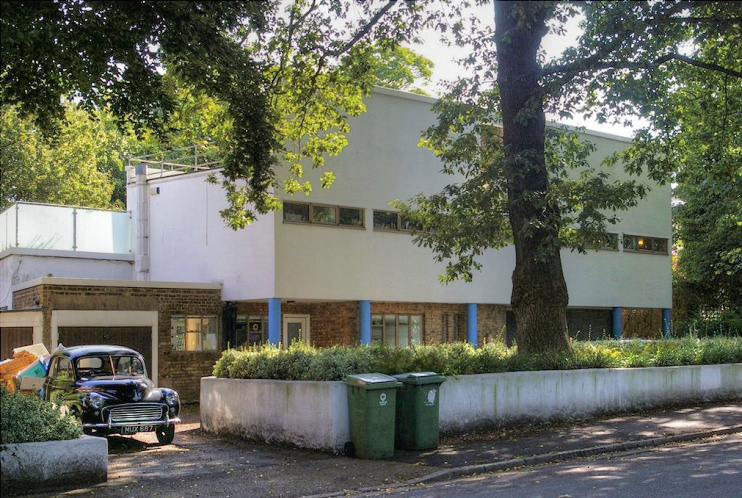 The most archi­tec­turally signi­ficant (though perhaps not entirely successful) structure is a modernist house on Crescent Wood Road called Six Pillars, which was built by Valentine Harding of Berthold Lubetkin’s Tecton partnership for the headmaster of Dulwich prepar­atory school in 1935. Shown in the photo above, Six Pillars is grade II* listed and was refur­bished in 2003. It is (very) occasionally opened for public viewing. Shown in the photo­graph at the top of this article, Sydenham Hill Wood consti­tutes a surviving fragment of the Great North Wood that once stretched from Croydon to Camberwell. It possesses a rich mosaic of ancient and recent woodland and is home to woodpeckers and warblers, bamboo and bluebells. Dulwich and Sydenham Hill golf course lies to the north. The television pioneer John Logie Baird lived at 3 Crescent Wood Road. * The picture of Six Pillars on this page is adapted from an original photograph, copyright Christopher Hilton, at Geograph Britain and Ireland, made available under the Attribution-ShareAlike 2.0 Generic Licence. Any subsequent reuse is hereby freely permitted under the terms of that licence.